Last week while my wife was shopping from a small departmental store at Shillong, she observed one of the vendor (from Hindustan Unilever) talking to the shopkeeper and insisting on keeping Ponds Talcum powder on the shelf, the shopkeeper responded by showing the old stock. The shopkeeper was telling him the feedback of the customers - 'the customers these days want deo, not talcum powder'. His response was driven by the fact that there is a shift in the customer choice driven by the change in the time, expectations, competitor's response, etc etc. While she shared her experience with me, I was also thinking that with the emergence of new products the old ones are fading off. The choices which the customer is making in the market is also the effect of aggressive advertising and increase in the purchasing power. 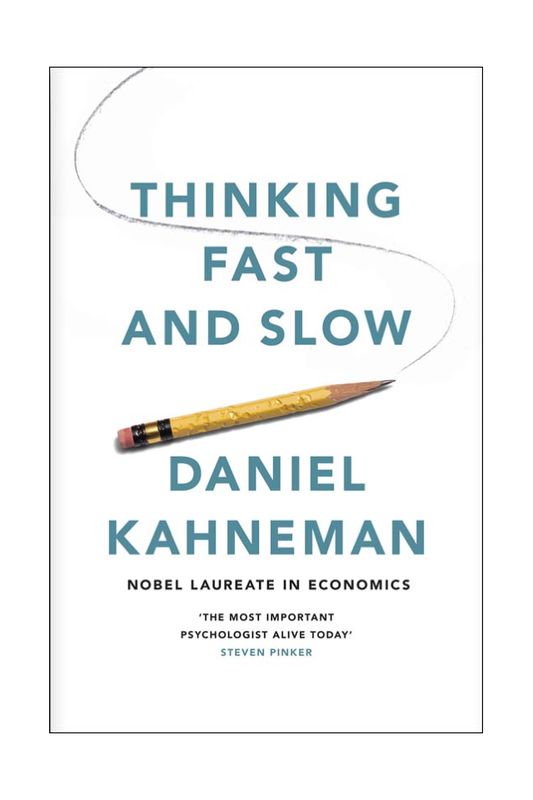 It was sheer a coincidence that I was going through this book entitled 'Thinking Fast and Slow' by Daniel Kahneman. This book was able to answer some such questions. How the decisions are taken? Which is a better choice? Why do people think what they think? Why things/people are not as they look? There were many such questions which kept pondering over my head and I began to connect them with the contents of the book. 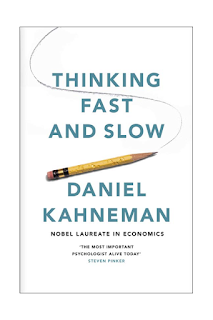 I heard and learnt about Daniel Kahneman only through the accolades that he received after getting the Nobel Prize in the area of economic sciences in 2002. It was precisely the year when I started teaching organizational behaviour though it had been a subject very close to my heart and I have been reading related literature. There was a time (some 25 years back) when I developed interest in Psychology during the period I was doing masters (commerce), I wish we had Psychology as a subject in our college. Later while in teaching profession, I went through some papers of Kahneman and could always share the learning with students and colleagues whenever I got chance. When I read the review of this book after its release, I acquired a copy and started reading it. I should not say just reading it, rather studying it, which included, lot of breaks in between as I wanted to read some of the cited works in the book, so honestly it took much more than an usual time which I take to complete reading a book. I think if I recollect, I might not have taken this much time of reading a book as I took for this title. The experience of going through this book made me so rich through innumerable downloads of related material, scanning through some of the experiments available on the web, buying some of the books, and going through cited work in depth in few cases. As the title suggests, the whole book classifies the thinking process through two systems, System 1 (thinking fast), and System 2 (thinking slow). System 1 operates automatically and quickly, with little or no effort and no sense of voluntary control, and System 2 allocates attention to the effortful mental activities that demand it, including complex computations. The operations of System 2 are often associated with the subjective experience of agency, choice and concentration (p 20-21). As mentioned in the book System 1 and System 2 as terms were first used by Keith Stanovich and Richard West, who call it now Type 1 and Type 2. Kahneman uses the original version. With numerous experiments and illustrations he establishes the practicality of these two systems which invariably operate while we make choices, decisions, judgments and calculations. The use (and also the conflict) of these two systems by an individual in different circumstances portray mental conditioning and preferences. System 2 is primarily used to overcome the impulses of System 1, which is in charge of self control. Many times we suffer from bias, using system 1 and falling prey to mis-judge the outcome. Many times the illusory sense dominates over the factual existence of the object as projected through Muller-Lyer illusion. The bat and ball puzzle (originally devised by Shane Frederick) is so apt that one makes judgment without using System 2 and over estimating the conformity through System 1. While I was reading Malcolm Gladwell's BLINK, it made lot of sense to believe on the gut feel, which is based on System 1, though the decision or judgment not always leading to the correct view. As one keeps turning the pages of the book it becomes more and more convincing that one needs to take time in decision making and not necessarily that one has to go by the gut always, which increases the degree of risk one bears on making choices based on System 1. As known, Kahneman and Amos Tversky had questioned the belief that by nature human being are rational and in case of emotions as fear, anger, hatred, affection, people depart from rationality. This book discusses and defends their stand through applied psychological frameworks, findings of various experiments and works of many researchers. Divided in five parts comprising of 38 different chapters, with the ‘speaking of …’ statements at the end of each chapter, the book strongly narrates the causation factor of decisions, making choices out of different alternatives, the follies of statistics, risk policies, etc. I remember vividly about the media reports on Kahneman’s Nobel achievement which highlighted Irrationality of stock investors, however what he emphasizes is no rationality. The argument of irrationality not being opposite of rationality is quite firm and convincing. This is where Dan Ariely's contribution becomes more relevant. Kahneman's acceptance of Dan's work is well placed in this context. The learning through the book is immense. At many instances where I was to use System 1, I chose System 2, which took little more time. Richard Layard, dedicated his book - Happiness, lessons from a new science, to Daniel Kahneman. Richard mentions in his book that it was Kahneman who opined that happiness can be measured. Kahneman developed a tool named as Day Reconstruction Method (DRM) based on remembering self and experiencing self which reports on the feelings of individuals. DRM is used by many researchers in different geographies to measure the satisfaction level which is used as a proxy of well-being. The book conveys vehemently the basic premise that it is easier to recognize other people's mistakes than our own (p 28), whether we think fast using system 1 or we think slow using system 2. The book is strongly recommended for the students of contemporary psychology.